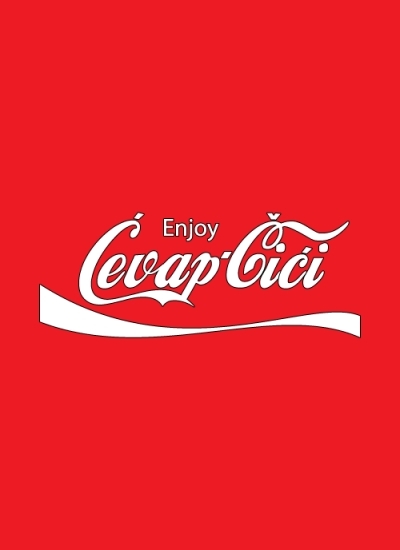 Cevapi, or cevapcici (the diminutive) is the unofficial national dish of Bosnia, or at least of Sarajevo. It’s more ubiquitous than the hamburger is in the US. I would be surprised if there is a restaurant in the city that does not serve them, and there are plenty of restaurants where they are just about the only thing on the menu. The menu at Zeljo. You can get your sandwich with 5, 10, or (ouch) 15 sausages. What are they? They’re small skinless beef or beef/lamb sausages, about the size and texture of Hormel Little Sizzlers breakfast sausages. They are fried or grilled and served inside a pocket of somun, a flat (ish) bread similar to what in the US we would call pita but which here is thicker with large holes in it. It’s kind of like a giant English muffin, but less crumbly and not sour. The dish is always served with chopped white onion and sometimes with a spicy red pepper and eggplant spread called ajvar. Usually a cevapi sandwich also comes with a dollop of kaymak inside, which is delicious enough to merit its own blog post someday soon. 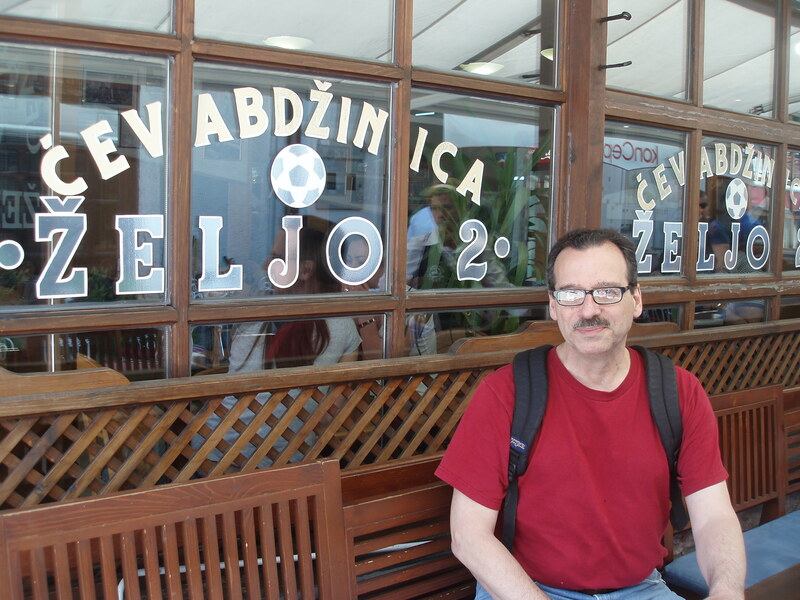 There are loads of cevabdzinica restaurants, but many people think Zeljo is the best. This entry was posted in Bosnia, Food and tagged cevapcici, cevapi. Bookmark the permalink.